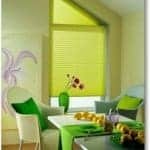 Signature Blinds is your Specialist Supplier of Window Blinds and Shutters in Dublin and Ireland.We have a blinds shading solution for any shape of window. Window Blinds and Shutters is our business. Our staff have over twenty years experience in the blinds and shutters industry in Ireland. It is our objective to utilize this experience to help you make the right choices for your needs. We supply and fit a vast range of window blinds and shutters and can offer a solution for any shaped window. Our service includes a free, no obligation, expert window shutters and design service. One of our staff will visit your home or office and show you the samples of shutters and blinds that best suit your requirements. This service is available anytime, evenings, weekdays and weekends. Signature Blinds and Shutters offer a full guarantee on all work carried out. We are fully insured. All our window blinds conform to current child safety regulations. 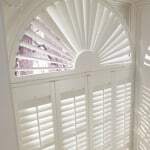 We are Ireland’s Premium Plantation Shutters and Blinds suppliers and fitters. 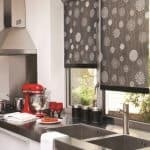 Signature Blinds and Shutters is an Irish family owned and run business. 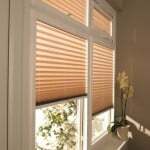 Why Deal With Signature Blinds? We are a very reputable Irish Company. Our reputation is hugely important to us. Check out our Testimonial page. We are easily contactable. All customers are given staff mobile numbers, landline numbers and email address. All our staff is fully insured. Our work is only finished when our customers are 100% happy. We finish all of our work.